BlackBerry is doing a victory dance over the launch of its BlackBerry Passport phone, despite having filled just 200,000 orders since Wednesday. CEO John Chen revealed the early sales figures during an earnings call. The phone is now sold out at BlackBerry's website and at Amazon, where the Passport has become the top-selling unlocked smartphone. Why it matters: 200,000 orders is nothing compared to other high-end handsets such as the iPhone 6, which saw 10 million orders in its opening weekend. But BlackBerry is working on a smaller scale now, and focusing entirely on a niche set of enterprise users instead of the consumer market. 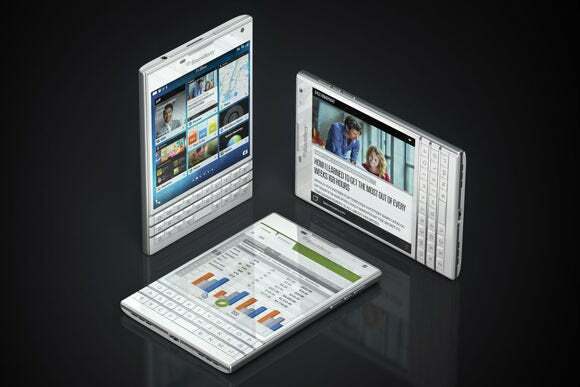 If anything, BlackBerry's boasting shows how drastically the company has scaled back its ambitions as a hardware maker. The BlackBerry Passport is, at the very least, different from other phones, with a square screen and a physical keyboard underneath. For features, BlackBerry says it focused on things business pros say they need, such as superior audio quality, long battery life and security. Still, the phone has received mixed reviews, with some users praising its messaging and e-mail capabilities, and others saying the keyboard is too awkward. The Passport's reliance on the Amazon Appstore for consumer-centric apps was also problematic for some reviewers, who ran into errors and bugs with the Android emulation. Keep in mind that BlackBerry has boasted of strong sales before, even when there's little to brag about. After launching its BlackBerry Z10 in February 2013, the company said customers were buying the phone in “in large numbers” and pointed to sellouts at some key retail locations. In reality, the phone was a flop, and it cost BlackBerry close to $1 billion. If the BlackBerry Passport is selling out at 200,000 units, it means BlackBerry doesn't want to make the same mistake again. Instead, it's keeping expectations in check, making its enterprise-focused phones available in small batches, and celebrating tiny victories where it can.